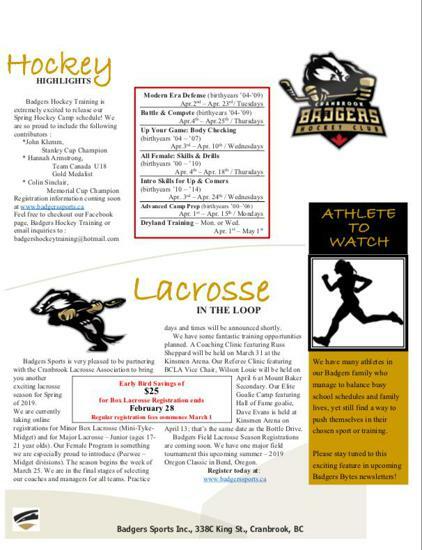 Badgers Hockey is an encompassing hockey program designed to enhance the skills of the hockey youth of the Kootenay's. 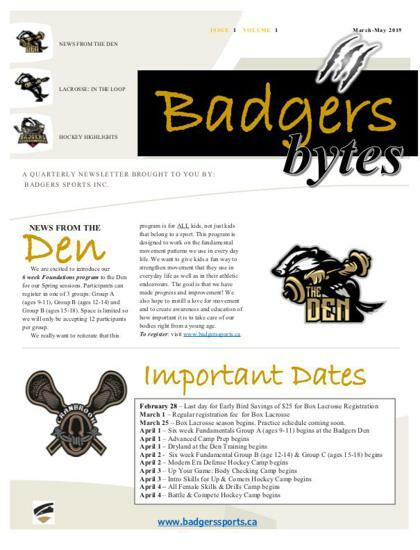 To register and pay fees please visit www.badgerssports.ca Each session has a maximum number of participants and spots will be on a first come, first serve basis. Your spot is held once payment is received. 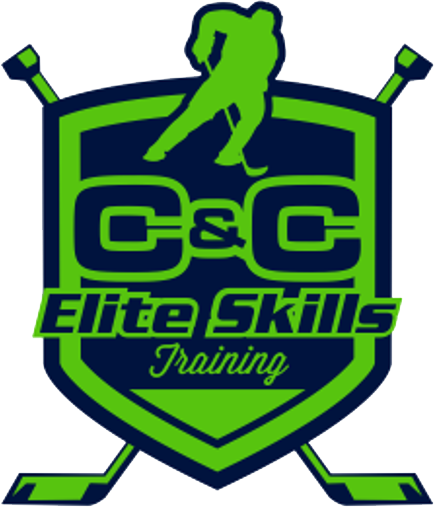 There has been great demand for the Prep sessions in the first few days and we recommend that you sign up quickly as spots are going fast!!!! 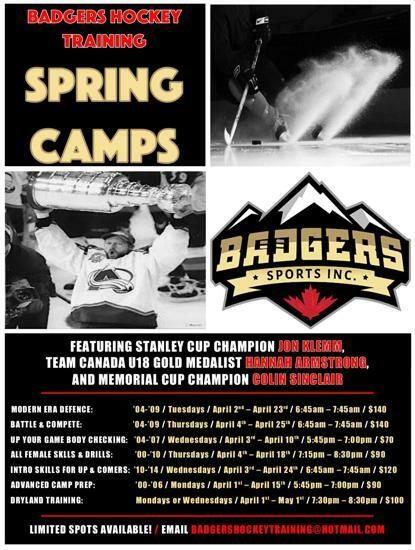 Atom (2008/2009) – 6 skater spots remain open. Goalie spots are sold out!